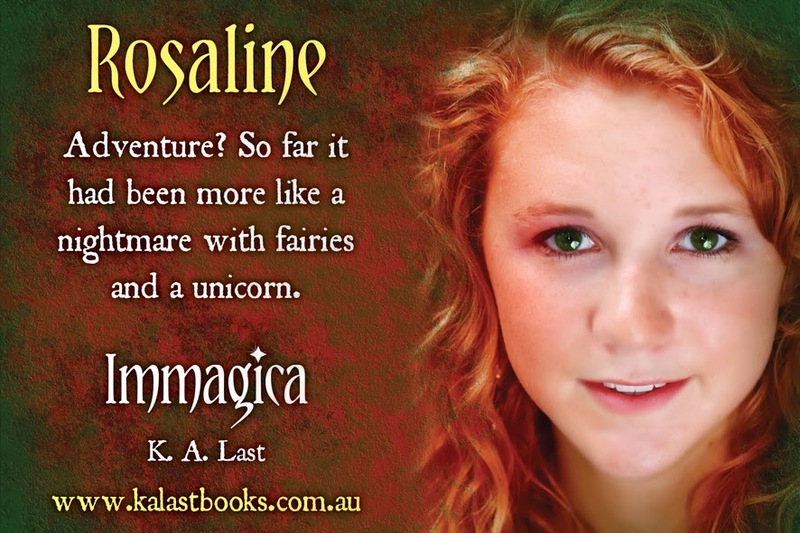 Rosaline is the main character in Immagica, and the story is told through her eyes. She's a pretty regular teenager, and she dotes on her little brother, Elliot. They're very close, since their parents are less than perfect and have issues of their own. Today I'd love for you to get to know Rosaline a little better. Career: Next in line to inherit the amulet. Biography: Rosaline is the daughter of Marcus and Isobel Clayton. She has a younger brother, Elliot, and they have grown up in a wealthy, but less than perfect, family. Rosaline’s mum keeps her at a distance, and her dad is a little deranged. Body Type: Petite but strong. Complexion: Pale skin with a spray of freckles across her nose. Hair: Dark red with wild curls that fall to below her shoulders. Clothing: Pale pink T-shirt, faded denim jeans, and Converse sneakers. Rosaline hates anything fancy. She’s a bit of a tomboy. Voice/Demeanour: Rosaline is always polite when she needs to be, but it depends who she’s talking to. If someone has pissed her off, she doesn’t hold back in letting them know. She is well versed and educated, but she is after all a teenager. Prejudices: Rosaline doesn’t tolerate pomp and circumstance much, which is difficult since she spends a lot of time at her rich nana’s house. She doesn’t like flashy shows of wealth and prefers things plain and simple. Best Qualities: Rosaline is compassionate, determined, and has a pure heart. Weaknesses: Fear of heights and flying, and her soft spot for Elliot. Hobbies: Reading, daydreaming, exploring, and getting lost in her imagination. Weapon of choice: Silver daggers with emerald-encrusted handles. Talents: The ability to use the amulet’s power, especially when she has no idea what she’s doing.